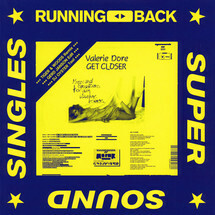 Numero due in the Super Sound Singles series on Running Back continues on the re-issue/update tip of inexpensive records. 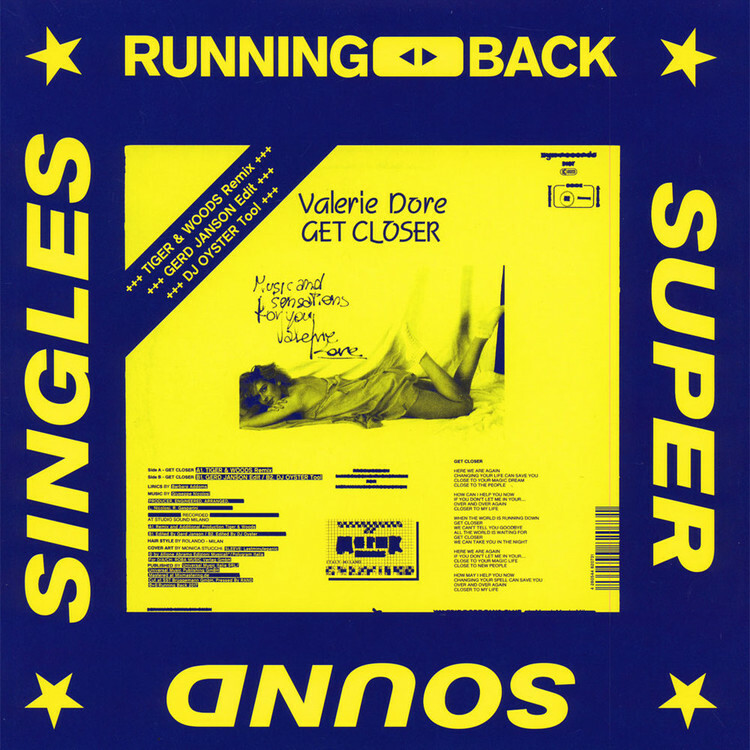 Big in the charts in 1985, the Italian queen of “romantic dance” made her second single “Get Closer” a clairvoyant poem about… errr… life and love: “when the world is running down - get closer"! Think stonewashed jeans, endless summers on Italian beaches, boats coming back to the shore. Remixed by fellow country men Tiger & Woods, “Get Closer” gets sandblasted into our modern times and the necessary treatment to be the peak- and night time hug fest, it’s always supposed to be. Add a run out tool by DJ Oyster and a gentle DJ-friendly edit by Gerd Janson of the original to the billboard. And always remember: changing your spell can save you.